3 Types of berries dogs can eat! CAN DOGS EAT STRAWBERRIES? YES! Berries. Is there anything they can’t do? 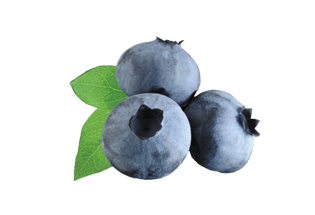 Along with blueberries, strawberries are a nutritional powerhouse for both you and your dog. 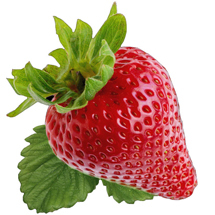 Like their blue cousins, strawberries are full of antioxidants. They also boast high fiber and a lot of vitamin C. Here’s a bonus: Strawberries even contain an enzyme that can help whiten your dog’s teeth. Keep a bag of frozen strawberries in your freezer to make smoothies for yourself, and you’ll also have a crunchy snack on hand for man’s best friend. Just don’t feed unlimited amounts, because even though the sugar in strawberries is natural sugar, too much can be bad news. CAN DOGS EAT BLACKBERRIES? YES! Blackberries round out the holy trinity of healthy berries for your trusty mutt, along with strawberries and blueberries. 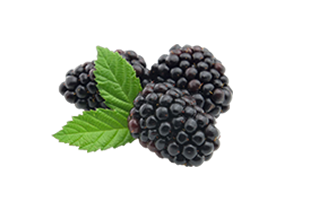 Like those others, blackberries are loaded with antioxidants to fight free radicals in your dog, and also have plenty of fiber and vitamins, too. It is worth mentioning that not all berries are good for dogs. Stay away from cherries, holly berries, juniper berries, baneberries, poke berries, and mistletoe berries. These contain pits and/or chemicals that can be health hazards for your dog. And remember to feed your dogs limited quantities because too much can be bad news!